There are many ways that people help protect and improve our planet's environment. From recycling as much as possible to doing without one-use plastic items like straws, there are small and big ways that each individual can contribute to the solution. When you're considering ways to decrease your home's non-biodegradable waste, remember to give some thought to your pet care items. 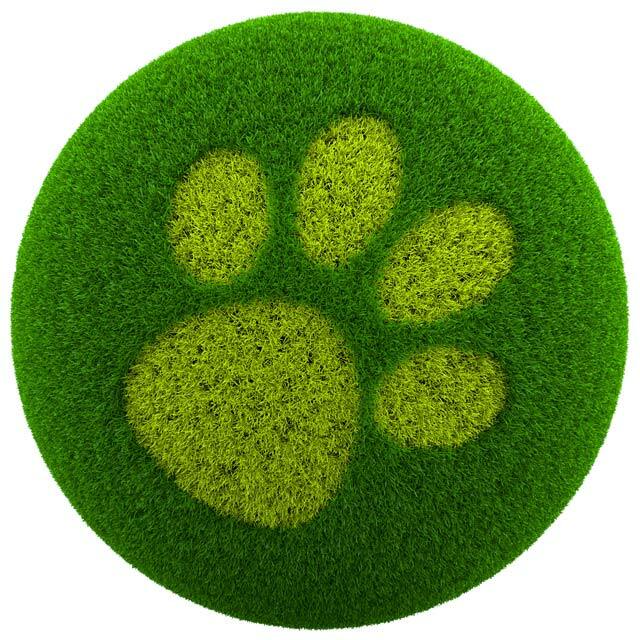 Here are some ideas for greening up your pet care routine. When you take your dog for a walk, you need to bring a baggie with you to pick up and dispose of your dog's stool. You can use either biodegradable bags or reuse grocery or other plastic bags you might have in your home rather than buying non-biodegradable, new plastic bags for the job. Similarly, you can reuse other plastic bags to scoop your cat's litter clumps into. And keep a metal trash can with a lid near the litter box, line it with a biodegradable or reused plastic bag, and fill the bag until it's full before removing it rather than using a new plastic bag every time you scoop. You can make toys for your dog or cat out of items that you might otherwise throw out, like cardboard boxes or toilet paper tubes. Just don't use any string, ribbon, yarn, buttons, or other items that could be dangerous if swallowed or that might entangle the pet or pose a strangulation hazard. If you buy your cat or dog a toy, look for one that's made of recycled materials. In this way, you are supporting the environment by reusing already manufactured plastics rather than triggering the creation of new ones. Most of the toys on SoftPaws.com are made of recycled materials. Check the product descriptions to be sure. Litter can be quite environmentally destructive. From the mining that is done to get the clay materials out of the earth to the fact that they don't degrade back into it, this is a big area where cat-owners can make improvements in their carbon footprint. Real sand. You may be able to get this in bulk where sandbox sand is sold. Still, it doesn't clump or break down over time. Shredded paper. This can be a good alternative to clay litters, but many cats dislike it, and they may eliminate outside of the litter box if you try to use it. All-natural, biodegradable cat litter. World's Best Cat Litter is an example of this type of litter, and it really fits the bill. It's made of corn, so it's biodegradable. It does not produce much dust at all, has a pleasant but not overwhelming smell, and clumps up great. It is fine like sand, and most cats love it. When you decide to get rid of cat or dog beds, toys, clothes, and other care items, if they are still usable, donate them rather than sending them to the landfill. Check with local shelters and rescue groups. Also, if you have old towels and blankets, those facilities and sometimes veterinary clinics can really use them, so try donating them before throwing them in the trash. If you use food that comes in cans, jars, or other recyclable containers for your pet, be sure to wash them out and recycle them. Also, buy the biggest containers that you can get away with. Be sure your pet will eat it within a few days, and cover and refrigerate the unused portion as you go. Scientists warn that we are dangerously close to using too much of the world's fish supply, and about 10% of the fish that is harvested goes into pet food. Decrease or eliminate fish-based foods from your pet's diet to help combat this problem. Spaying or neutering your pet can help reduce the problem of feral cats and unwanted dogs. Feral cats can have a devastating effect on wildlife, which can negatively impact the environment. Additionally, adopting a pet from a shelter helps the overall issue of homeless pets. Sharing this article and the ideas within it with your friends and family can help create a ripple effect that will help us all do better with regards to our environment.